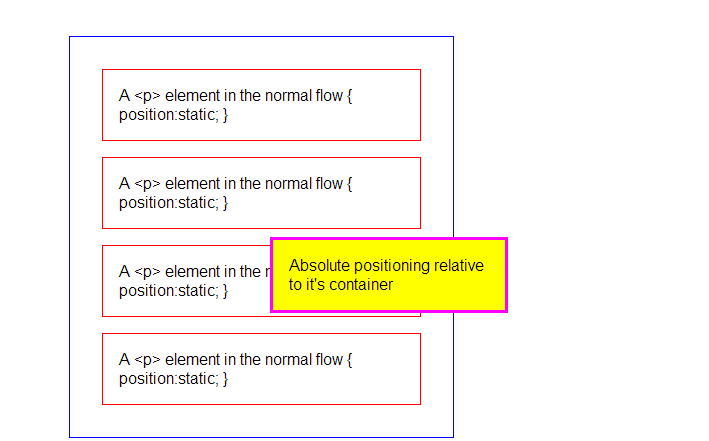 By applying relative positioning on a containing element, any elements within that container will be positioned relative to it. IMPORTANT! 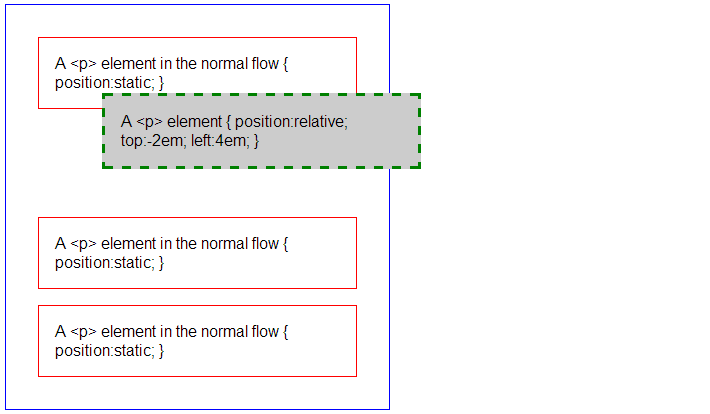 The containing box must be relative to have the contained boxes positioned relative to it.